Giraffe is one of those restaurants I pass by everyday and have always wanted to try. It’s located inside the Inn at Great Neck, a cute luxury hotel on Cuttermill Road that’s gotten rave reviews and TripAdvisor and by all accounts is a terrific place to stay, a true luxury experience with fresh flowers in the suites, goose down pillows, and marble bathrooms. Walking in on a Sunday night, the first thing I noticed is that the restaurant was completely empty. In fact, the maitre ‘d seemed a bit surprised to see us walk in. The restaurant itself is gorgeous. The decor is fitting of the luxury hotel in which it’s located and really conveys the feel of 1920’s Great Neck. You really feel like you’re walking into a scene right out of the Great Gatsby. My guess is that the bulk of its business is through room service to its guests and events (it’s definitely a great venue to throw a wedding or party, and it’s not uncommon to see the place jammed with people eating and drinking and having a good old time), but not necessarily dining. The service was definitely friendly and attentive. 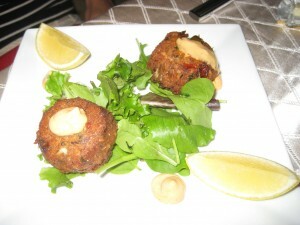 We started our evening with crabcake appetizers. 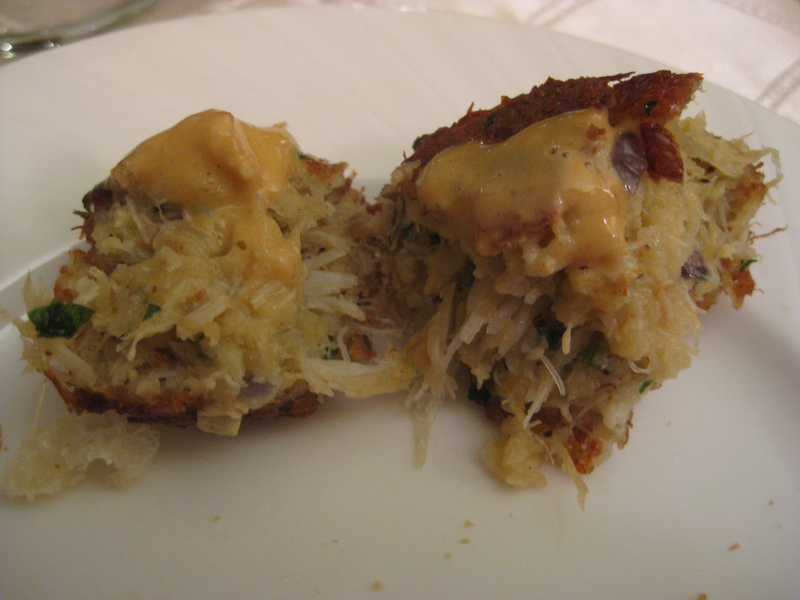 I was happy to see that the crabcakes had generous portions of crab in them. We ordered two dishes, Pasta Toscana and Chicken a la Mona Lisa. I’d say the pasta was decent. 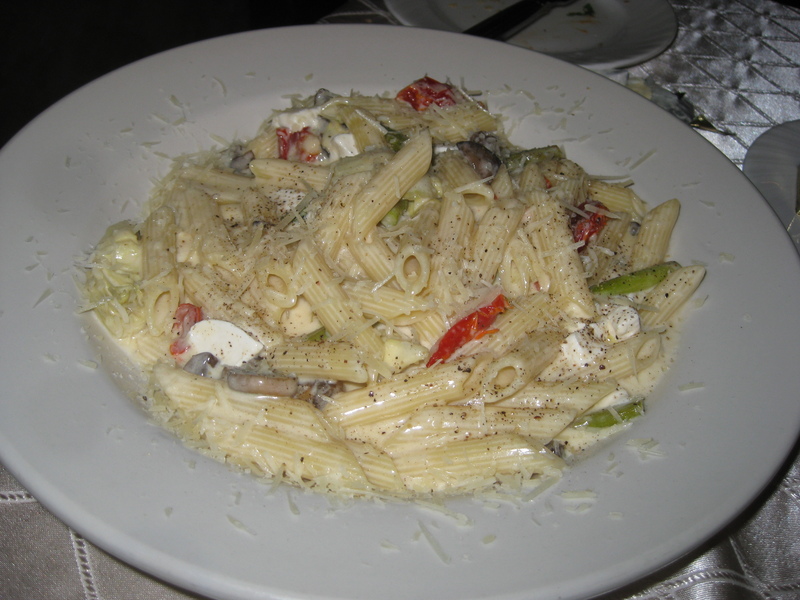 Technically it was prepared the way it should be–the pasta was al dente with fresh artichokes, Parmesan choose sprinkled on top, chunks of melted mozzarella among the penne, and sundried tomatoes. The white sauce was light and not too creamy, the way I like it. 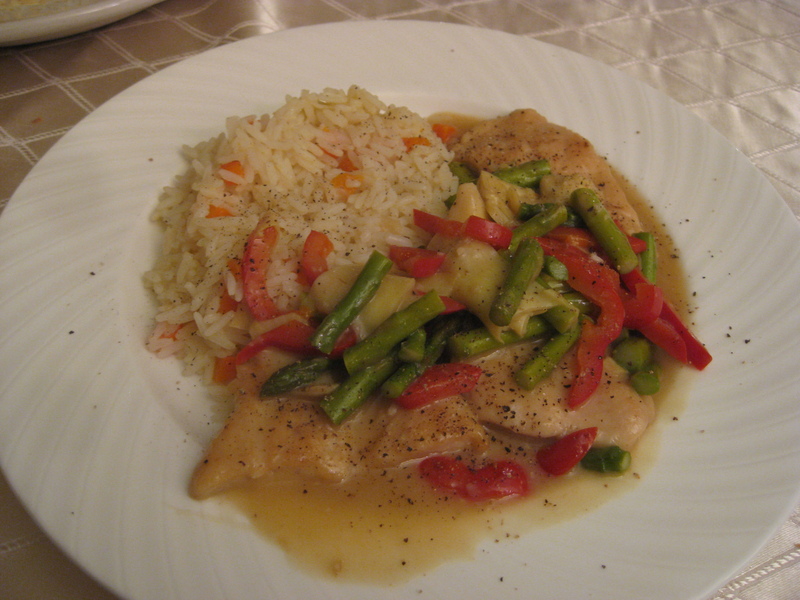 Here was the Chicken dish. Again, from a technical perspective much the dish was satisfactory. The vegetables seemed pretty fresh, from the artichokes to the red peppers to the asparagus. But I wasn’t blown away by the rice or the chicken. The chicken was tender and chunky, but had a glossy exterior which didn’t strike me as being fresh as chicken I’ve had in other high-end restaurants. And the rice and sauce seemed like it came out of a can. And as you can see, the presentation itself isn’t exactly what you’d expect for a $20 dish. That’s probably a good way to sum up our experience. Overall, the food wasn’t terrible, but it seemed very, very “ordinary”, a far, far cry from the rave review in the New York Times ten years ago when the restaurant was only three months old. Things they rave about like prix fixe options and prime rib are long gone and have been replaced with decidedly more pedestrian fare. Overall I’d give the food 2.5 stars, but bump the overall review to 3 because of the beautiful decor. It’s not a bad place to go for a romantic evening out (it was like having a private dining room to ourselves), but I really get the feeling it’s about time the Giraffe did a little makeover to its menu if it wants to fill the place up.